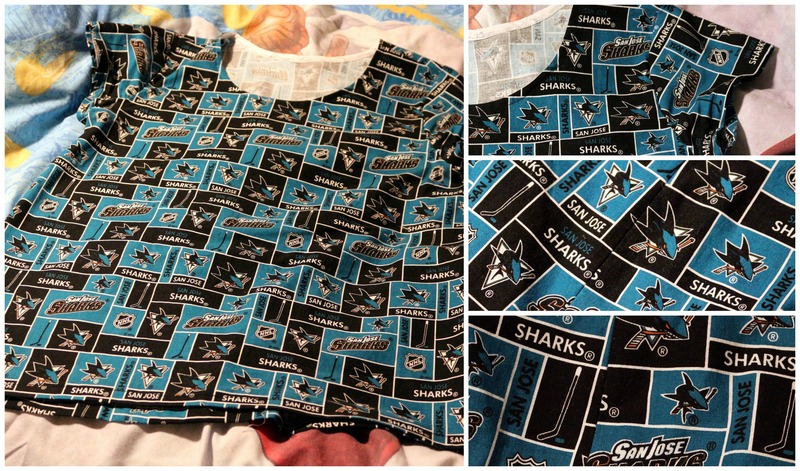 After many months of eyeing up Sharks fabric at Joann, and then finally buying some…. then it sitting on the shelf…. 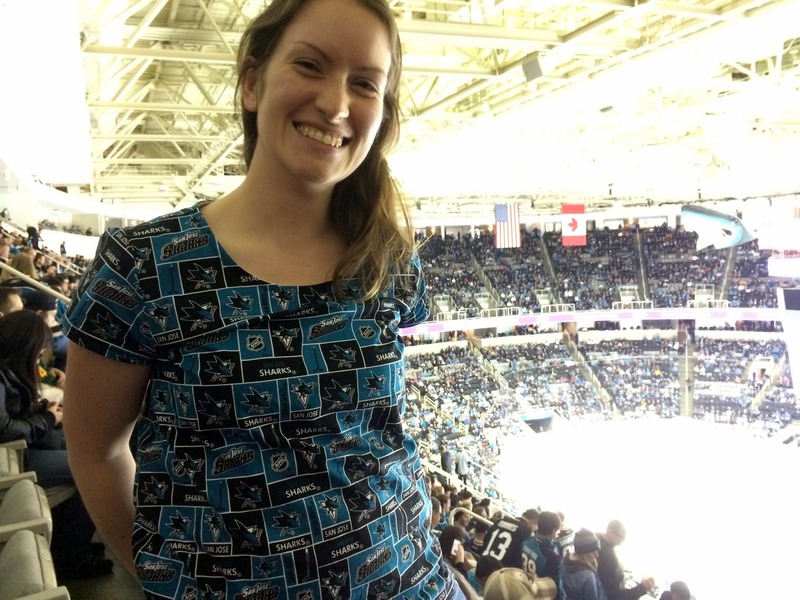 I took my friend Brooke to her first Sharks game last night, so even only having my comedy portable machine, I decided it was time to make myself a top! I also didn’t use french seams, again due to my comedy portable sewing machine, just pressed open the seams and finished the edges with my overlocker. You have a “lucky shirt” now. 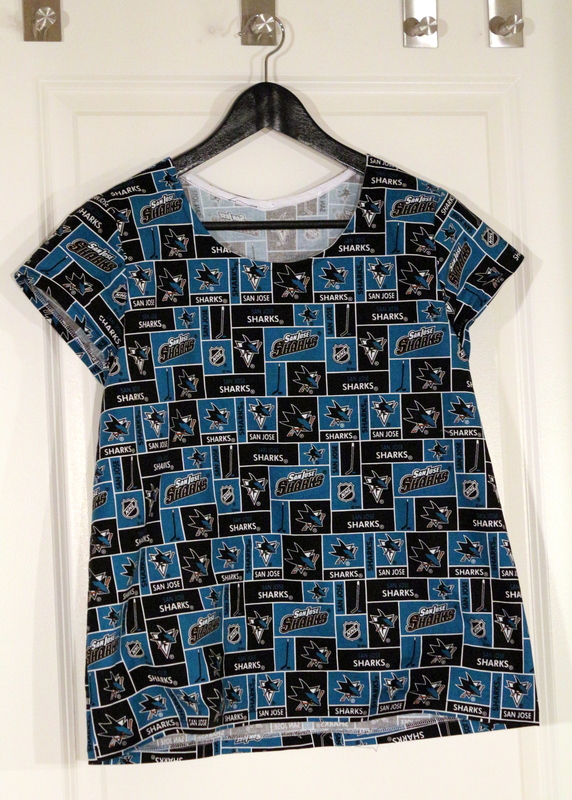 You will have to wear it to all their games. Nice top!